June 9 is World Accreditation Day as a global initiative jointly established by the International Accreditation Forum (IAF) and the International Laboratory Accreditation Cooperation (ILAC) to raise awareness about the importance of accreditation. Global Manager Group, one of the leading accreditation consultant of the world has celebrates the day with invited experts to the meet and communicate online on various accreditation standards and get benefit by sharing knowledge of accreditation. The owner of the company Mr. Devang Jhaveri explains the difference between accreditation and certification as well as discuss in brief about widely used 9 international standards which are used for accreditation in testing laboratory, medical laboratory, calibration laboratory, refineries worldwide. The focus of this discussion on the global data of Laboratory accreditation is to share experience and challenges with the world that we faced during accreditation projects from process approach to competence in various laboratories accreditation for testing, medical and calibration field. In this industry various ISO accreditation consultancy providers, who have expertise in the field can come together and make this event more successful for the trust and believe of laboratory owners in accreditation process, which delivers confidence in reliability and global acceptance. The reader of this press release can share their experience or send us any query related to any of the below 9 accreditation standard and enjoy global accreditation day. 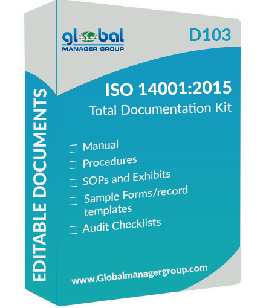 Global Manager Group is leading accreditation consultant in the globe, who selling various ready to use sample accreditation documentation kit and awareness and auditor training kits creating awareness on all this ISO series accreditation standards. There is various kind of accreditation standard and its technical requirements are covered in this event. For all these standards editable documents are provided by Global Manager Group, so any consultants and auditors can visit website and download free DEMO to understand requirements of documentation for any of following standards.